The flexibility built into the Karrimor SF Sabre 75 is really something. For instance you can add two rocket packs to ether side of the main body to further increase carrying capacity. The base capacity of 75 litres plus the 12.5 litre side pouches gives an impressive total volume. One of the things I really like about this pack is the low weight of the rucksack and coming in at 2.65kg is great considering you are getting 75 litres for this weight! 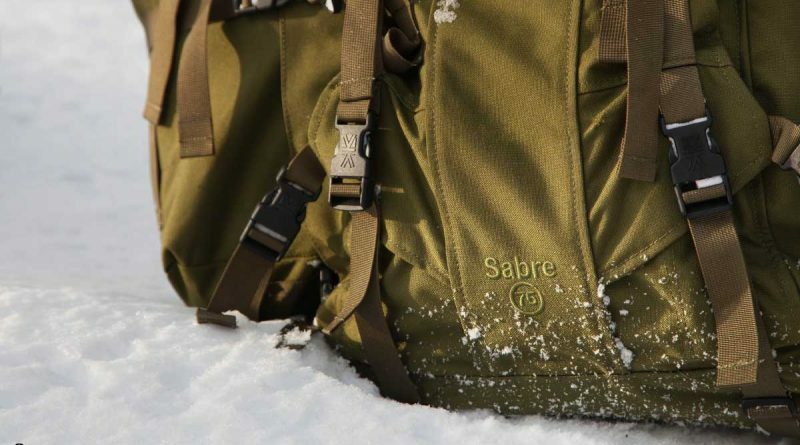 Big packs need to be stiff and sturdy to carry the weight effectively and the Sabre 75 is both. Using an internal frame (which is removable) and strong 1000D fabrics it keeps the weight secured against you. I used mine most recently on a solo winter expedition to Northern Sweden and it felt like my home away from home. There are plenty of external attachment options for poles, ice axes and rollmats. 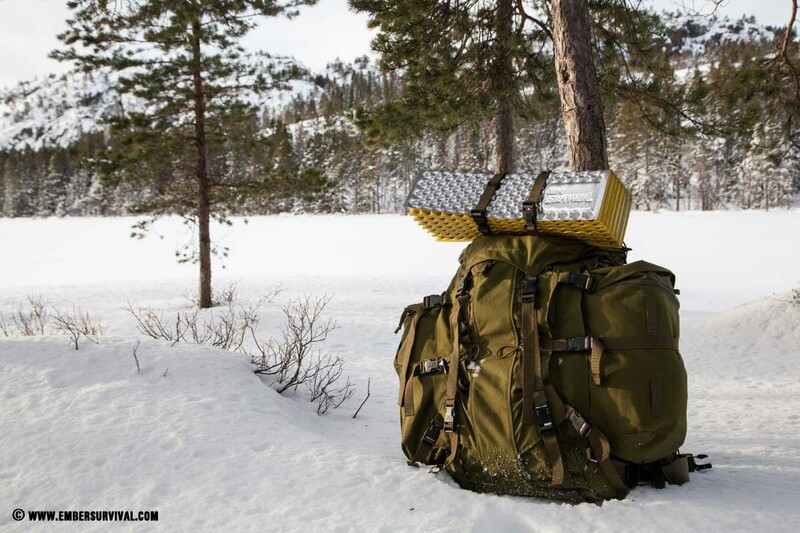 Above all this was an excellent load carrying pack. Make sure you purchase the right back length for you in advance. 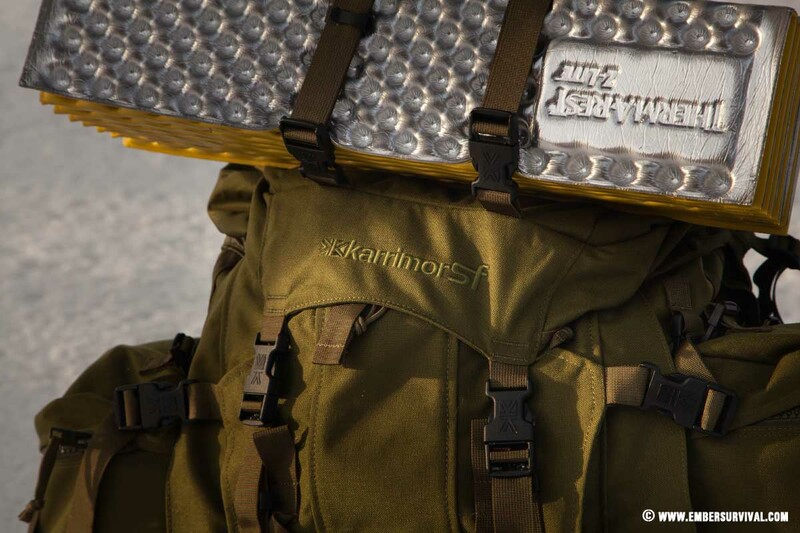 You can also check out the review on the Karrimor SF Predator 80 – 130 Expedition Rucksack. Find that HERE.